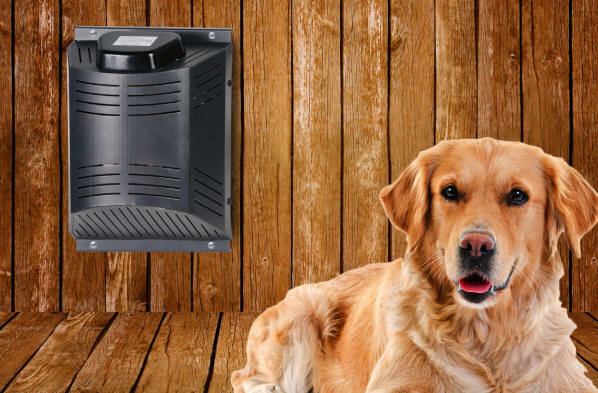 The newly designed thermostaticly controlled Dog House Heater features an incredibly long life, and a fan for cooling in the summer months. 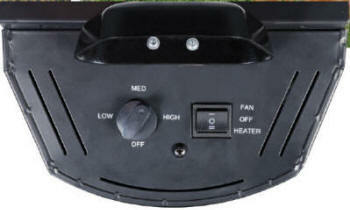 The 200W heater features an internal fan to safely distrubute heat and ensure that the box will never overheat. This new design emphasizes safety for your pet and efficiency of operation. These units take dog house heating and cooling to a new level ... simply set it and forget it! These incredible Dog House Heaters can handle a 35 cubic foot dog house and also work really well with the smallest of houses by simply adjusting the thermostat. Need a Cat House Heater? Chicken Coop Heater? Rabit Hutcher Heater? Whatever your heating needs may be ... these units fill the bill! The Dog House Heater comes with a one year Manufacturer's Warranty and a 30 day money back guarantee. The relatively small size of these Dog House Heaters make them easy and convenient to mount in virtually any Dog House ... no venting required. Installation normally takes 10-15 minutes. And rest assured, these units are extremely safe for your pet. The unique design of the dog house heater will not allow your pet to get burned and there are no sharp edges. A steel wrapped cord prevents chewing and electrical shock. 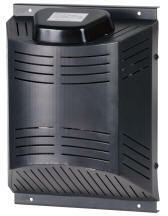 These are simply the best dog house heaters on the market at a very affordable price!